Netherthorpe Lane. Steelmelters Pub is on the left. Gasometer is on the other side of Sheffield Road. The item in the distance is not a gasometer, it is a gas holder. I worked in the gas industry for 40years and acquired a text book called Modern Gasworks Practice, the 1923 edition, from Rotherham (Carr House) gas works while it was being demolished . They are described as gas holders at that date. I suspect that the term ‘gasometer’ was originally used because if you measure the height you could calculate how much gas had been made and how much was left. 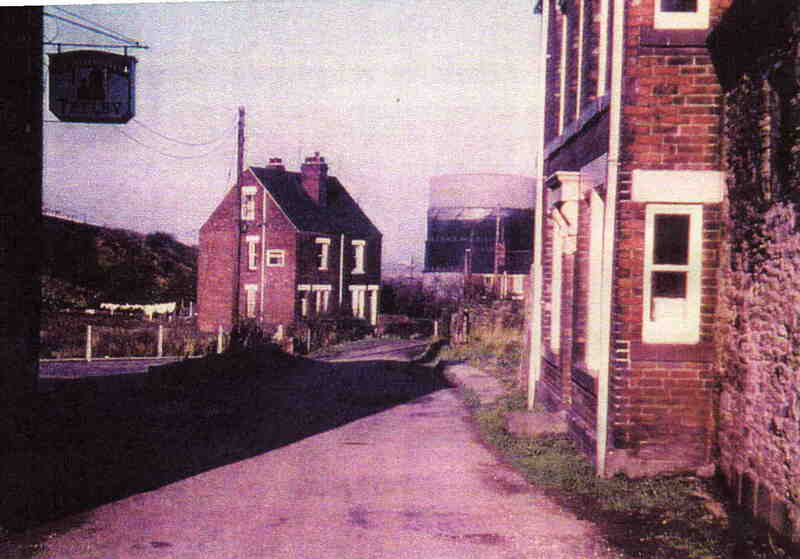 The house on the left was owned by my school teacher Mrs Smith. She taught maths at the Junior School. Mrs Ruth Smith later moved to live on Primrose Lane. A good teacher whose repetitive times table lives with me to this day!